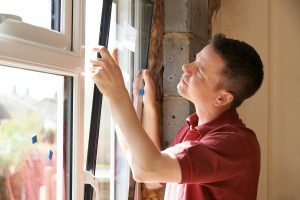 Best Buy Windows and Siding’s vinyl replacement windows are the first choice for homeowners investing in energy efficient windows in the Dallas-Fort Worth area. We offer every type of window, all energy star, AAMA and NFRC certified, with double Low E and argon gas. We take pride in offering some of the most energy efficient windows in North Texas, at a very affordable price. Don’t get fooled into paying $1,000.00 or more per window, you don’t have to. Best Buy Windows and Siding offers you quality, comfort and savings. Beyond affordability and quality is dedicated customer service from start to completion, and beyond. From our first meeting, we listen to you. We stand behind our products. When you think of energy efficient replacement windows, we have the choices you need, no matter what type of window your home requires. Home improvement services are what we’re about, so call Best Buy Windows and Siding – the best choice for your replacement windows in Dallas. Improved Comfort – Homeowner comfort is greatly increased. Window temperatures are more moderate and cold drafts are virtually eliminated. Discomfort from strong summer sunlight and cold winter winds is virtually eliminated. You can enjoy your windows and home all year round! Save Money on Heating/Cooling Bills – Double Low-E coatings, argon gas fills, and insulated spacers and frames will significantly reduce winter heat loss and summer heat gain. Improved Daylight and View – New glazing with low solar gain low-E coatings reduce solar heat gain with a minimal loss of visible light compared to standard tints and films. Reduced Condensation – Frame and glazing materials that reduce heat conduction do not become cold, resulting in less messy condensation that will damage window sills. Reduced Fading – Coatings on glass within the window assembly considerably reduce UV and other forms of solar radiation, which can often cause fading of your expensive curtains and drapes. Lower A/C Equipment Costs – Using windows that substantially reduce solar heat gain means that cooling equipment runs less and lasts longer! Installing windows requires expert knowledge and skill. That’s why customers trust the experts at Best Buy Windows and Siding more than anyone else to get the job done right the first time. The professionals at Best Buy Windows and Siding are ready to help, contact us at 214-736-9971.